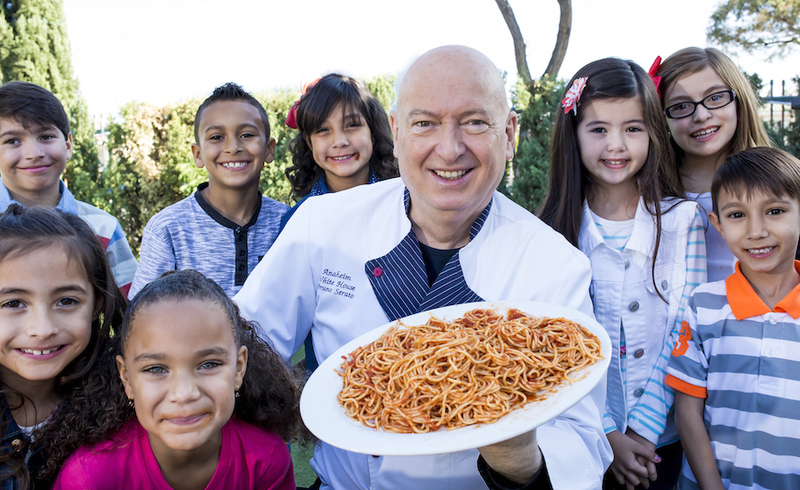 Chef Bruno Serato and his Caterina’s Club nonprofit have served over one million pasta dinners to hungry children. Photos courtesy of Caterina’s Club. 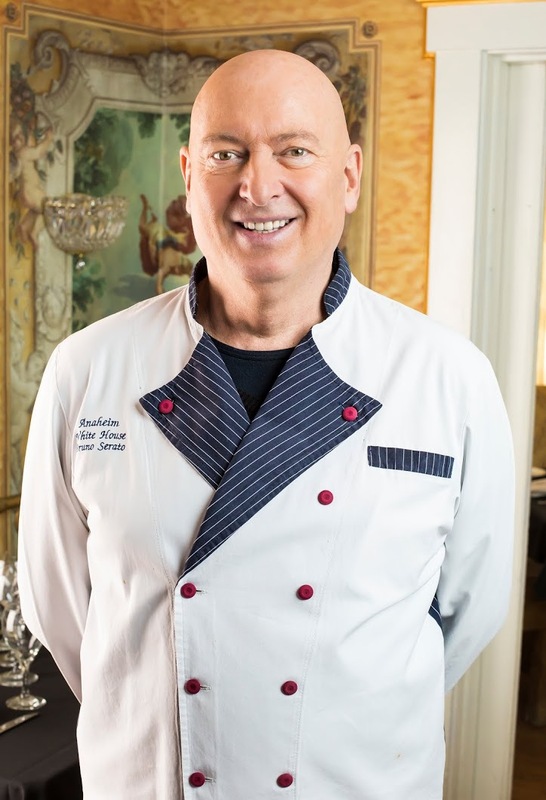 Chef Bruno Serato has gained both domestic and international acclaim for his humanitarian efforts in feeding underprivileged children in Orange County over the last decade. 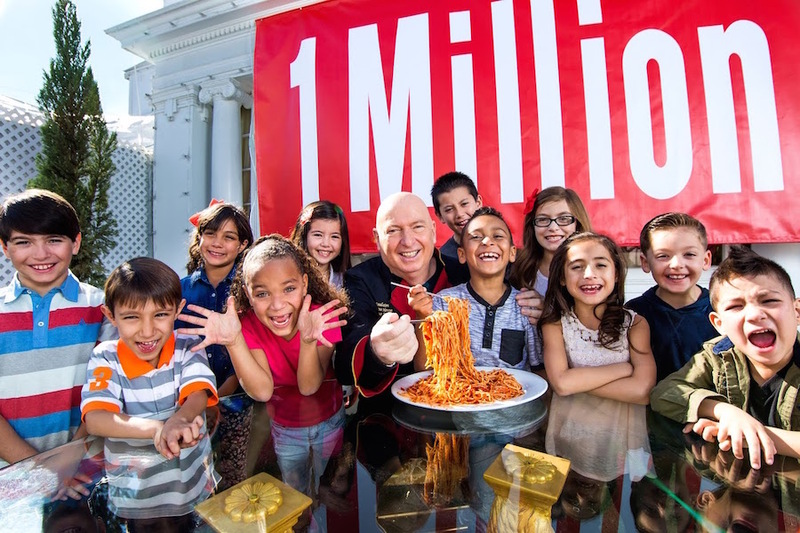 The owner of the Anaheim White House restaurant—recognized as a CNN Hero in 2011 and knighted by the Italian government—formed the Caterina’s Club nonprofit over 10 years ago. The organization now feeds over 1,200 children nightly at Anaheim-area Boys and Girls Clubs. Starting September 14, the organization will branch out and begin to feed hungry children in Long Beach. Sir Bruno normally cooks the pasta and vegetable dinners at the Anaheim White House before delivering them to the Orange County locations, but said because of proximity, the Long Beach program would be structured differently. Two of the three clubs he has partnered with in Long Beach are outfitted with kitchens, with the third set to be outfitted with a kitchen in late September. Serato plans to deliver supplies once a month to the Long Beach locations and teach a cooking class to volunteers who will help serve an estimated 350 children. His foray into helping the needy started when his mother, Caterina, was visiting him from Italy. While visiting a Boys and Girls Club during her stay, he noticed a small boy eating a bag of potato chips, and a staff member noted the chips would most likely serve as the “motel kid’s” meal for the night, because his lodgings lacked a kitchen to cook in. He remembers the day vividly. It was April 18, 2005. At his mother’s insistence, he cooked pasta for the boy to eat that night, starting what would eventually become a non-profit organization that has now served over one million pasta and vegetable dinners to hungry children. Even more, Serato expanded his philanthropic ventures to include the Welcome Home Program, which helps families eventually move out of the motels they’re living in. The program helps families with at least two children and a parent who has been employed for at least six months by paying the first and last month’s rent for an apartment to get them out of motels and back on their feet. To date, the program has assisted 85 families, totaling over 500 people, in exiting their motel lodgings. The first family he helped move out is one that he said he’ll always remember. Don Rodriguez, executive director of the Boys and Girls Club in Long Beach, said the program coming to Long Beach has been a blessing for the organization, one that has stirred up quite a bit of interest among the children at the affected clubs. He said when the staff informed the children of the opportunity to learn how to cook, they were ecstatic. The opportunity to learn from a renowned chef like Serato is something most people would line up for. Rodriguez said the goal is to take the lessons from the clubs and eventually have the kids carry over the acquired skills to the home. Rodriguez acknowledged that a dinner program was something the club was already doing, but this will both supplement and enhance what they were able to do. Sadly, Rodriguez said, the need in Long Beach is huge. A lot of the kids they serve get breakfast and lunch provided to them at school, but rely on the club for dinner. Teaching them to cook and providing them with the tools to execute what they’ve learned could translate to hot meals on the days the club is closed. “We want to get to the point where we can send them home with pots so they can cook for their families and don’t have to be hungry on the weekends,” Rodriguez said. Why was it so important for Serato, who has a full plate with managing his restaurant, to give back? A common misperception, he said, is that he’s rich because he owns his own business. Serato said that he was himself struggled over the last eight years when the economy turned downward. Seeing good American families affected to the point of being homeless or stuck in a motel was something he couldn’t stand by and watch. He grew up in a home where he and his six siblings ate spaghetti every day for lunch, had milk and leftover bread for dinner and wore hand-me-down clothes from neighbors from across the street. Seeing the conditions of the families he helps live in resonates with him, because in a lot of ways, it was once his life. Helping the children should be mandatory, he said, there should be no discussion about it. Jason Ruiz covers City Hall and politics for the Long Beach Post. Reach him at [email protected] or @JasonRuiz__LB on Twitter.